And those crazy smart medics who went downrange (to the German clubs) in trench coats with dyed blond hair where they listened to the most hard metal industrial hateful angry noise music, and aways seemed drunk and on the smirk of beating you senseless — they purloined medical needles from med supplies with which they pierced your ear, the other hole was opened with a potato for the needle handle (holes so big they still haven’t closed, thought they were yanked out in any number of fights). 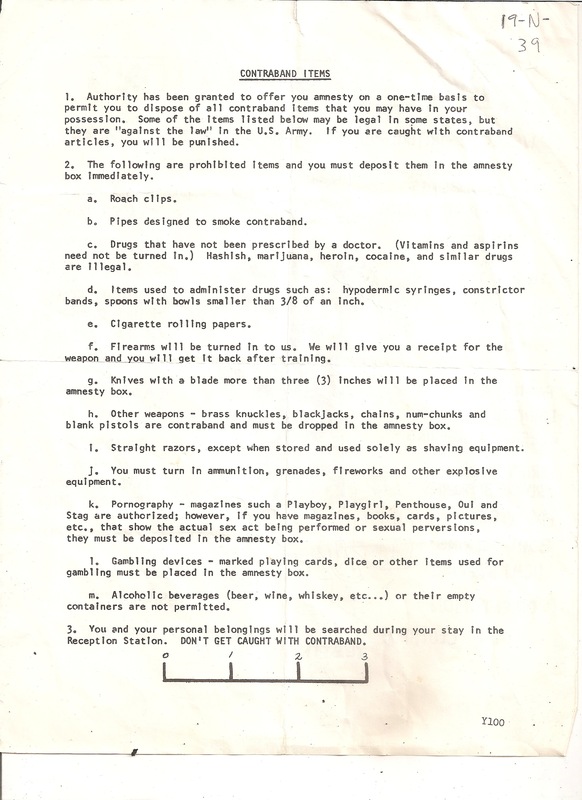 In basic training, we knew a “gun was for fun” and to clear your weapon, your M-16 jam you slapped, pulled, observed, released, tapped and squeezed — but they paid for college and made you an independent adult if you didn’t get an Article 15 or fail a piss test or get sent to Mannheim or Camp Humphreys or Yokosuka or bolo basic because you no-go’d by setting up a claymore mine facing the wrong way or couldn’t figure out how to shoot a damn azimuth (I still can’t). And troop — never ever ever lose your DD-214. Recover. Smoke em if you got em, but field strip that cigarette. Ah, slang and jargon before Google democratized it all. We kinda liked, we kinda loved it, we kinda wanted more of it. Request permission to speak? Speak. More PT drill sergeant, more PT. Make me an exceptional warrior monk gangster with a moral code. Lovely! This was a really delightful post. Thank you for supplying this tips. I really like your wordpress design, wherever would you get a hold of it from? Do you have any helpful hints for aspiring writers? I’m hoping to start my own site soon but I’m a little lost on everything. Would you recommend starting with a free platform like WordPress or go for a paid option? There are so many options out there that I’m totally overwhelmed .. Any suggestions? Thanks a lot! I conceive this site contains some very great information for everyone. “It is easy enough to define what the Commonwealth is not. Indeed this is quite a popular pastime.” by Elizabeth II. Great post. I was checking continuously this blog and I’m impressed! Extremely useful information specially the last part :) I care for such info a lot. I was seeking this particular info for a long time. Thank you and good luck. I am regular reader, how are you everybody? This article posted at this site is genuinely good.